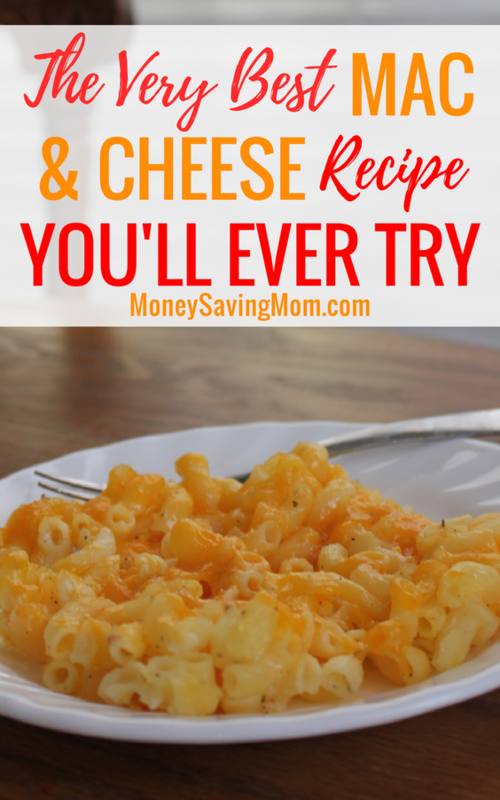 Remember when I posted this yesterday and said I needed to try the mac & cheese recipe stat? Well, I did. Because I’m impatient like that when I find a really good-looking recipe. 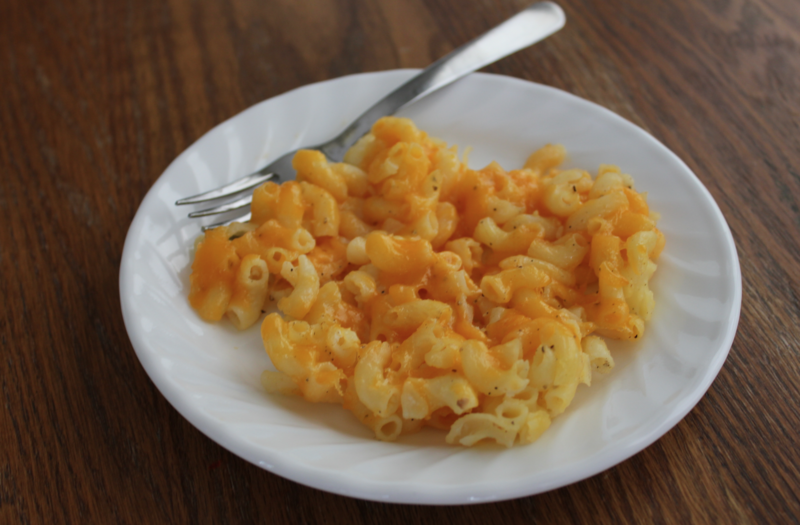 And you guys… I have cracked the Homemade Mac & Cheese code. I may have wanted to hide the pan so I can keep it all to myself. 😉 But, since I couldn’t keep the goodness all to myself (and because I probably would need to work out for about 19 hours to work off all the calories in a whole pan! ), I shared it with my family. They raved and raved about it. Before I knew it, the pan was gone and we were all wishing there was more! 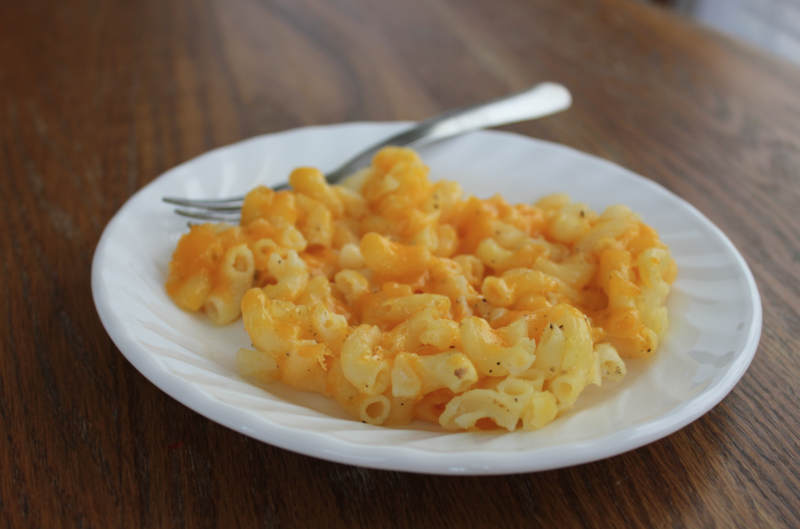 It only took me about 57 different Homemade Mac & Cheese recipes to finally find THE recipe, but it was worth it. Plus, all that trial and error made finding the perfect recipe that much more exciting. It only takes 5 ingredients. For real. And one of them is salt & pepper — which I’m not sure even really counts! It’s pretty frugal. Okay, so if you find boxed mac & cheese on some crazy low sale, making this from scratch is probably going to be more expensive. But overall, the ingredients are very inexpensive and ones you can pick up for less than $5 total at Walmart or Aldi — or less, if you get them on sale with a coupon! It’s so simple to make. You know I’m as simple as they come when we’re talking about recipes. I don’t like lots of steps or multiple bowls or hoops to jump through. This recipe is my kind of recipe — it literally only takes about 5 minutes of prep work. Boil the noodles. Cut up the cheese. Mix everything together and dump it in a pan. I’m SO down with that. It’s adaptable. We used gluten-free noodles and I added extra cheese on top (is there such a thing as too much cheese? Nope, I didn’t think so!). I think you could also add cubed ham or chopped steamed broccoli or other spices… or probably a bunch of sophisticated ingredients that a non-foodie like me wouldn’t even know how to pronounce, let alone think to add! It’s supposedly freezer-friendly. I’m not sure I have the self-control to ever let it make it to the freezer, though. Here’s the recipe link. You’re welcome. Amazon: Play-Doh Sweet Shoppe Double Desserts Playset just $6.73! 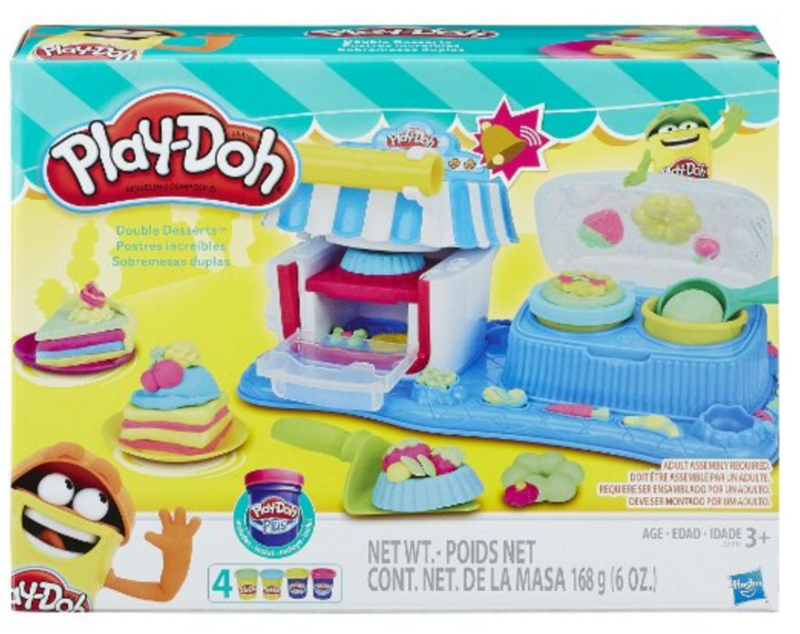 Amazon has the Play-Doh Sweet Shoppe Double Desserts Playset marked down to just $6.73 right now! This is the best price Amazon has offered for this — and it could change at any time! For Amazon Prime members, this ships free with any qualifying $25 purchase. For non-Prime members, this ships free with any qualifying $49 purchase. Today is the last day to get this HOT deal on hosting! I really, really don’t want you to miss this RARE offer! Thinking of setting up a website or blog? You’ll want to check out this hot offer from Bluehost! Through May 31, you can get monthly hosting from Bluehost for just $2.95 per month! This sale is SO rare, so be sure to take advantage of this before the end of the month! 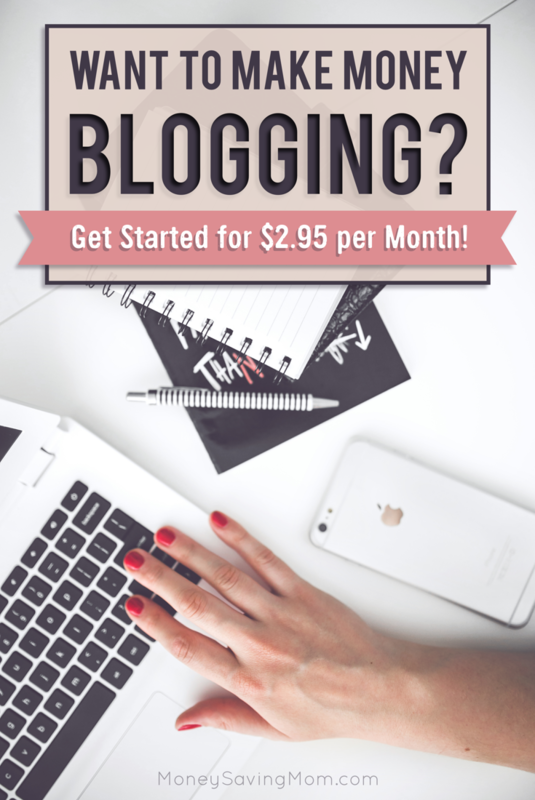 Go here to get started with blogging for just $2.95 per month! 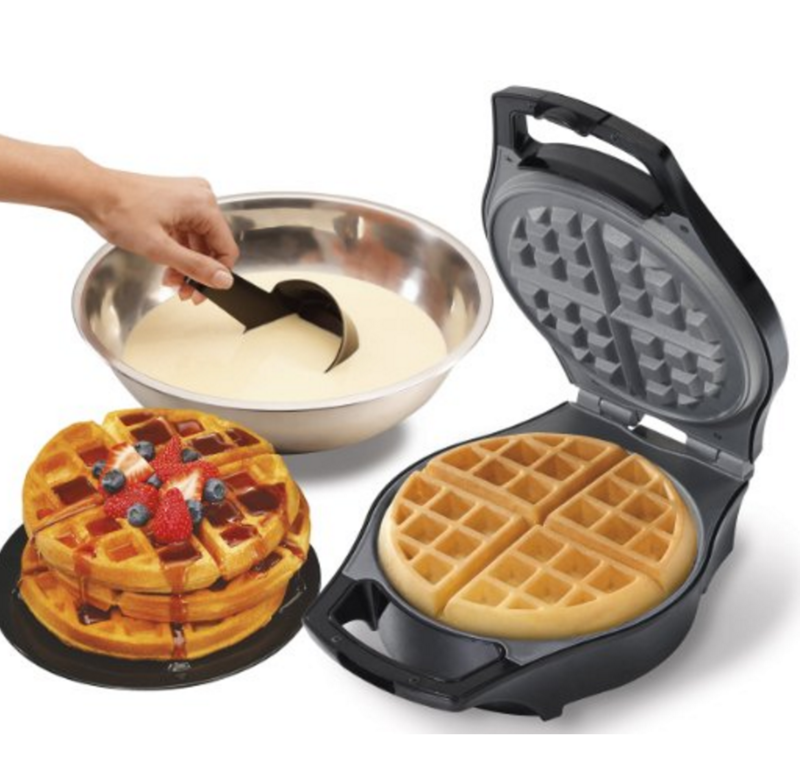 Amazon has the Proctor Silex Belgian Style Waffle Maker discounted to just $11.96 right now. This price could change at any time! 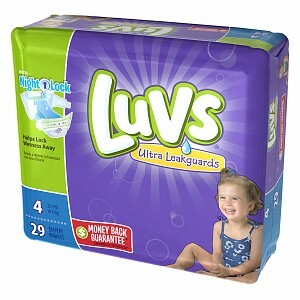 Shipping is free with an Amazon Prime account. Who is the only person you can change? You can inspire other people, you can motivate other people, you can nurture and mentor other people. But ultimately, you can only change YOU. Every day, you wake up and have the opportunity to choose your attitude. You can choose to be a victim or a victor. You can choose to be a complainer or a conqueror. 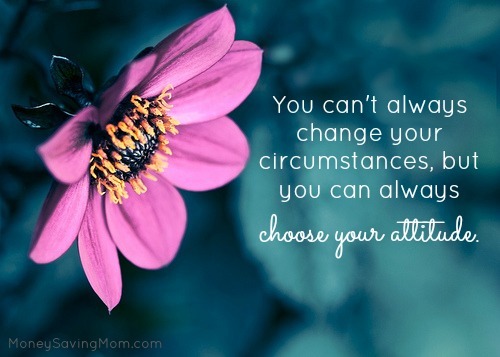 You choose your attitude. And your attitude sets the whole tone for your day — and your life.